The first thing that folks notice about your home is your porch. 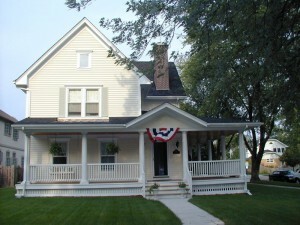 What is your porch telling visitors or even prospective buyers? It should be a place that looks cozy and inviting. A place where you would feel comfortable sitting in a chair, watching the sun go down. It shouldn’t look like a storage locker. Unfortunately, when storage space runs out of the garage or basement, then the porch becomes the landing spot for things like old sofas and appliances. This summer, you can clear all that rubbish off your porch for good with one phone call to Junk King Albany. When you set up an appointment with Junk King, you’ll be assigned two movers who are going to do all the loading work for you. On the day of your appointment, those two workers are also going to size up what’s on your porch in order to determine your fee. They can look at pieces of furniture, a stove, some boxes and bags and know exactly how that will all fit onto the back of the truck. That’s how they’ll come up with your estimate. It’s a flat fee based on the amount of space your stuff will take up on the truck. One price covers everything and you’re going to like how affordable that price is compared to renting your own truck and hiring your own workers. Although your primary goal might be to clear off your porch, there is no reason why you can’t clear the rest of your home of unwanted rubbish. There is probably something in every room that you could get rid of. When you head out to the garage or open up a closet, then your list of rubbish items could grow. It can all be picked up and loaded in a single session from Junk King. Once all that clutter is removed from your property, you’re going to feel a lot better about your home. You might even find yourself inviting neighbors over to sit for a spell on your clean porch. That would be nice. Get your porch clear of clutter and your rubbish removed from your home with a little help from Junk King Albany. This entry was posted in Albany Junk Removal and tagged clutter, Junk King, porch on June 30, 2018 by Junk King. Last updated June 30, 2018 . Whether you’ve lived in your home for six weeks or six years, chances are you have some junk you want to get rid of. It might be an entire garage worth or just a few items. Whatever the amount of junk, once you’ve decided that you can do without those items it is time to bring in some outside help. That would be Junk King Albany. These are the junk hauling experts who not only do all the work of lifting and loading but they also make estimating your junk removal easy. That’s where the pricing estimator comes into play. The Junk King pricing estimator is a list of common household items that you are targeting to get rid of. The list covers every kind of furniture, electronics, appliances and other household items. You click on how many of these pieces you want to get rid of and you’ll see how things add up. Keep in mind that this is just an estimate. The final number can’t be arrived at until the crew has a chance to look over all the things you want to get rid of. They’ll be able to determine how all those things are going to fit onto the back of the Junk King truck. This will become the locked down price. You might end up being surprised because it is often less than the estimate you created. That’s a good thing! Now all you have to do is schedule your appointment. That’s also easy. As long as you’re online with the price estimator, you can also book your appointment and save $20 right from the start. All you need to do is have a date in mind and the perfect two-hour window within that date. You can schedule out for the weekend or the next day. Once you hit click, don’t be surprised to get a call from Junk King asking if you’re ready to get your items picked up today. That is also a very frequent occurrence. Are you ready to finally get rid of all your junk items? Junk King Albany can make that happen fast and for the right price. 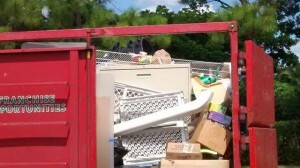 This entry was posted in Albany Junk Removal and tagged Junk King, junk removal, pricing estimator on June 23, 2018 by Junk King. Last updated June 23, 2018 .